The Jericho Mill was one of several mills located along the Little Gunpowder Falls between Franklinville and Jerusalem. None of them remain today but two historically significant stone houses from the Jericho Mill site are there and still lived in today. To find the site of Jericho, depart from Franklinville Presbyterian Church headed toward the river and make an immediate left turn on Jericho Road. You are headed toward Jerusalem and will pass through the Jericho site and then the Jericho covered bridge on the way. At 0.6 miles along Jericho Road you will cross a small stream and begin climbing a hill. As you approach the top of the hill you encounter a blind curve to the left around a stone retaining wall. On the right is a steel guard rail along the road. Looking up the grassy bank above the stone wall there will be a large stone house called Jericho Farm. 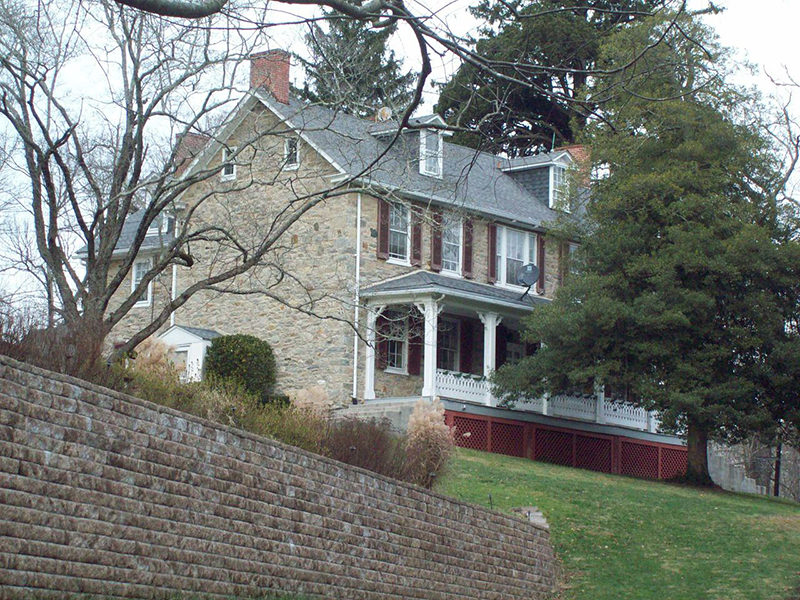 It was the home of the owner of Jericho Mill. The guard rail on your right is protecting you from a sheer drop into what was the basement of the mill. When you round the blind curve and reach the top of the hill, on your right is a smaller stone house called Jubilee. It was the home of the manager of Jericho Mill. Ahead you will see the Jericho Covered Bridge, the last covered bridge in both Baltimore County and Harford County. As you cross through it you will enter Harford County and Jerusalem Village.